Keith Ian Carradine was born on the 8th August 1949 in San Mateo, California, USA and is an actor, singer and songwriter, most famous for his roles in the 1975 musical comedy/drama “Nashville”, as well as in “Deadwood” and “Dexter” TV series. Apart from acting, he is also an Academy Award and Golden Globe winning songwriter, honored for his original song “I’m Easy”, performed in “Nashville”. Have you ever wondered how much wealth this all around performer has accumulated so far? How rich Keith Carradine is? According to sources, it is estimated that the total amount of Keith Carradine’s net worth, as of late 2016, is $10 million, acquired through his acting career which has been active since 1969. Keith Carradine was born into a family of actors, to Sonia Sorel and John Carradine, the middle of three sons. Apart from his parents, his brother Robert as well as his half brother David are also actors, so it is no wonder that Keith followed the same path and became a successful actor himself. However, his childhood was quite rough as his parents divorced when he was six, so the majority of childhood Keith spent in foster homes and even homes for abused children. After high school, Keith enrolled at Colorado State University studying drama, but dropped out after the first semester in order to pursue his acting career. He relocated to Los Angeles, California, to his brother David who heavily influenced him and helped him to take beginner’s steps in the acting business. Although Keith’s first acting experience dates back to his youth age when he appeared in his father’s productions of Shakespeare, his acting career did not officially begin until 1969, when he was cast in Broadway’s original run of “Hair”. He began in the chorus and acted his way to the leading roles of Claude and Woof. In 1970, he appeared alongside his father in a “Tobacco Road” stage production, and it is certain that these achievements served as the launching board for Keith Carradine’s acting career and they also provided the basis for his, nowadays rather respectable, overall net worth. Keith Carradine’s big screen debut occurred in 1971, when he was cast for the role of Cowboy in Robert Altman‘s western “McCabe & Mrs. Miller”; subsequently he appeared in another western “A Gunfight” featuring Kirk Douglas and Johnny Cash in the leading roles. Keith’s first small screen appearance occurred in the same year, 1971, when he got the side role in one episode of “Bonanza” TV series. His talent and passion did not go unnoticed, and with his career on the rise, Keith secured more and more prominent roles, including appearances in “Kung Fu” (1972) TV series as well as in the Robert Aldrich action movie “Emperor of the North” (1973), and another Altman motion picture “Thieves Like Us” (1974). All these roles marked the beginning of a successful acting career and also helped Keith Carradine to add a sum to his overall wealth. However, the real breakthrough in Keith Carradine’s acting career came in 1975 when he was cast in the role of Tom Frank in Altman’s musical comedy/drama “Nashville”, winning Golden Globe and Oscar Awards not for his acting, but for his singing and songwriting skills – “I’m Easy” was named the Best Original Song. On the wings of this success, Keith put some efforts towards his brief singing career, and released two studio albums, “Easy” (1976) and “Lost & Found” (1978). These ventures impacted Keith Carradine’s overall net worth in a positive manner for sure. 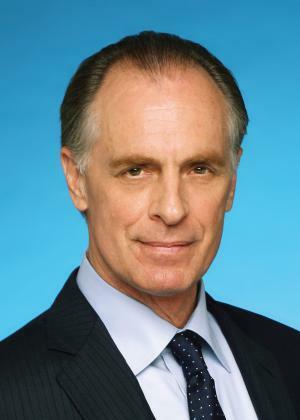 During his acting career which now spans over 47 years, Keith Carradine has added more than 130 acting credits to his portfolio, including stage productions, movies, TV series and even video games. Some other of Keith’s memorable and notable roles, apart from those already mentioned above, include Ridley Scott’s 1977 war drama “The Duellists”, as well as numerous TV series appearances such as “Star Trek: Enterprise”, “Spider-Man”, “Deadwood”, “Complete Savages”, “Numb3rs”, “Dexter”, “Dollhouse”, “Fargo”, “The Big Bang Theory” and most recently “Madam Secretary”. Doubtlessly, all these engagements have massively increased the total size of Keith Carradine’s overall net worth. When it comes to his personal life, Keith Carradine was romantically involved with Shelley Plimpton, who at that time was married although separated from Steve Curry. After moving to California, Keith found out that Shelley was pregnant, but had reunited with her husband. However, in 1974 when Plimpton and Curry divorced, Keith met his extramarital daughter Martha Plimpton for the first time, now an acclaimed actress too. In 1982, Keith married Sandra Will, a fellow actor with whom he had another two children, however, after 18 years of marriage they divorced in 2000. Since 2006, Keith Carradine has been married to another actress, 25 years-younger Hayley DuMond. 1 The best advice I ever got was from Robert Altman, who said, "Kid, I'm going to give you a piece of advice. Don't take advice from anybody". 2 They [awards] don't mean anything to me...until I win one. 1 Caaradine designated Victor Flemingg's "Captains Courageous" as his favorite film for the AFI. 2 Keith and his Nashville (1975) co-star Christina Raines were in a relationship during the 1970s. For a time, the couple shared a one-story home in Los Angeles' Topanga Canyon. 3 Tony Award nominee in 1991 for Best Actor in a Musical for "Will Rogers Follies". 4 Drama Desk Award nominee in 1991 for Best Actor in a Musical for "Will Rogers Follies". 5 Outer Critic Circles Award winner in 1982 for Broadway debut for "Fox Fire". 6 Lucille Lortel Award nominee 2010 for Outstanding Featured Actor for "A Lie of the Mind". 7 On Criminal Minds (2005) he played Frank Breitkopf, a serial killer that had been killing for 30 years. On Dexter (2006), he played Frank Lundy, who hunted a serial killer that had been killing for 30 years. 8 Keith's father was of English, with distant Irish and Dutch, ancestry, and was a direct descendant of Dutch diamond merchant Kiliaen van Rensselaer, who settled in Rensselaerwyck, NY, now identified as Albany, NY. Keith's maternal great-grandfather was biochemist Max Henius, who was born in Denmark, to a Polish Jewish family. Keith's mother's other ancestry was Danish, German, and Swiss-German. 9 His paternal grandmother, Genevieve Winifred Richmond, was one of the first female brain surgeons in North America. 10 He was awarded a Star on the Hollywood Walk of Fame for Live Performance at 6233 Hollywood Boulevard in Hollywood, California. 11 Originally, it was his half-brother David Carradine who pursued a role in the Broadway musical "Hair" in 1969. At his audition he brought Keith along to play the piano. Keith ended up winning the part and stayed with the show for six months. 12 Daughter Martha Plimpton was conceived while Keith and actress Shelley Plimpton were appearing in the rock musical "Hair" on Broadway in 1969. Born in 1970, the relationship was over by the time Martha was born and Keith did not meet her until she was four years old. 13 Following the divorce from Carradine, ex-wife Sandra Will became romantically involved with Los Angeles private eye, Anthony Pellicano, and was arrested for her involvement in placing illegal wiretaps on the unsuspecting actor's phone. She later plead guilty and received a jail sentence for the felony crime. 14 Father, with Sandra Will, of a boy named Cade Carradine (b. July 19th 1982) and a girl named Sorel Carradine (b. June 18th 1985). 15 For his role on Deadwood (2004), he was trained by renowned Hollywood Gun Coach Thell Reed, who has also trained such actors as: Val Kilmer, Kurt Russell, Sam Elliot, Girard Swan, Russell Crowe, Brad Pitt, and Leonardo DiCaprio. 16 He and Hayley DuMond wed the same day as Tom Cruise and Katie Holmes celebrated their wedding in a small city near Rome. 17 Was nominated for Broadway's 1991 Tony Award as Best Actor (Musical) for playing the title character Will Rogers in "The Will Rogers Follies." 18 Plays "Wild Bill Hickock" in Deadwood (2004) and played "Buffalo Bill Cody" in Wild Bill (1995). 20 Uncle of actress Ever Carradine and Kansas Carradine. 21 Daughter, actress Martha Plimpton, is from his relationship with Shelley Plimpton. 22 Middle brother of Robert Carradine and Chris Carradine. 23 Half-brother of David Carradine, Bruce Carradine and Michael Bowen. 24 Son of John Carradine and Sonia Sorel. 25 His recording of "I'm Easy" reached #17 on the US charts in August, 1976. Mike Tyson Mysteries 2015 TV Series Jason B. Half a Lifetime 1986 TV Movie J.J. Ain't Them Bodies Saints 2013 performer: "The Lights"
Halloween II 2009 performer: "I'm Easy" / writer: "I'm Easy"
The Californians 2005 performer: "Little Boxes"
Our Very Own 2005 performer: "Our Very Own" / writer: "Our Very Own"
Ronin 1998 performer: "Our Favorite Son"
The 66th Annual Academy Awards 1994 TV Special performer: "A Wink and a Smile"
The 45th Annual Tony Awards 1991 TV Special performer: "Favorite Son"
Maria's Lovers 1984 lyrics: "Maria's Eyes" / performer: "Maria's Eyes"
Welcome to L.A. 1976 performer: "Welcome to L.A.", "Welcome To L.A.", "Interlude - The Best Temptation Of All", "City Of The One Night Stands"
The 48th Annual Academy Awards 1976 TV Special performer: "I'm Easy" / writer: "I'm Easy"
Nashville 1975 lyrics: "It Don't Worry Me", "Honey" / music: "It Don't Worry Me", "Honey" / performer: "I'm Easy", "Honey", "Since You've Gone" / writer: "I'm Easy"
Monte Walsh 2003 TV Movie composer: song "Cowboy Lullabye"
Cahoots 2001 composer: song "Lonesome Wolf"
The Ballad of the Sad Cafe 1991 composer: song "Sweet Peaches"
1993 Star on the Walk of Fame Walk of Fame Television Awarded on July 15, 1993 at 6233 Hollywood Blvd.